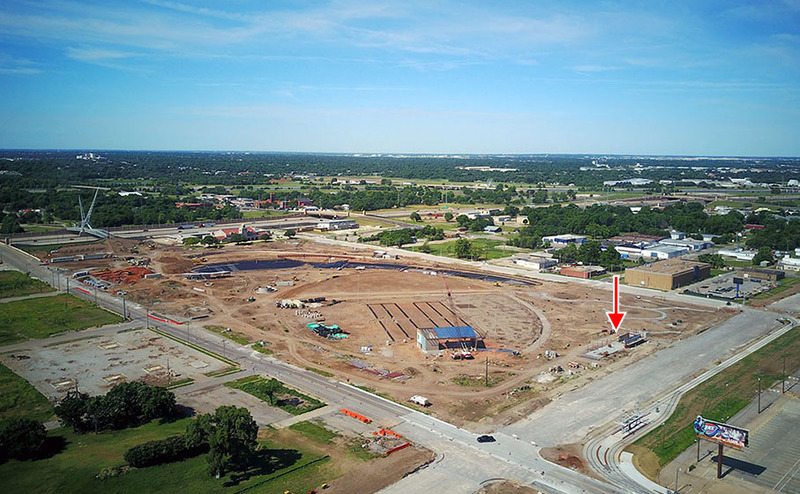 The structure of approximately 3,000 square feet is being built at the north end of the park along the new Oklahoma City Boulevard and directly across from a streetcar stop. The structure will also feature a large covered patio. 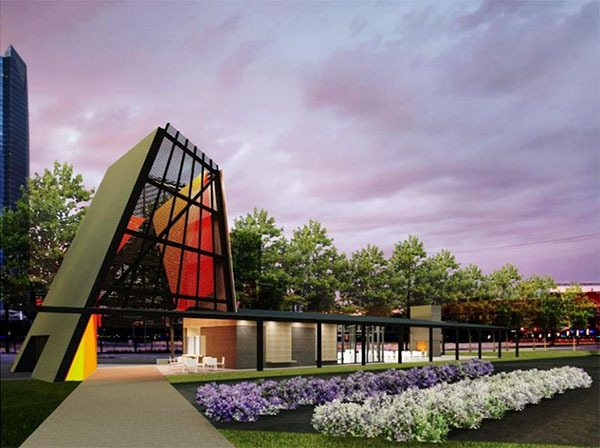 Annie Tucker of Social Order told OKCTalk that a final name has been yet to be determined but the concept is designed to appeal to the masses that will be utlitizing the park, with everying from burgers and shakes and ice cream to more healthy options such as salads and wraps. Efforts will be made to utitlize local daries and farmers in order to source as many fresh, local ingredients as possible. 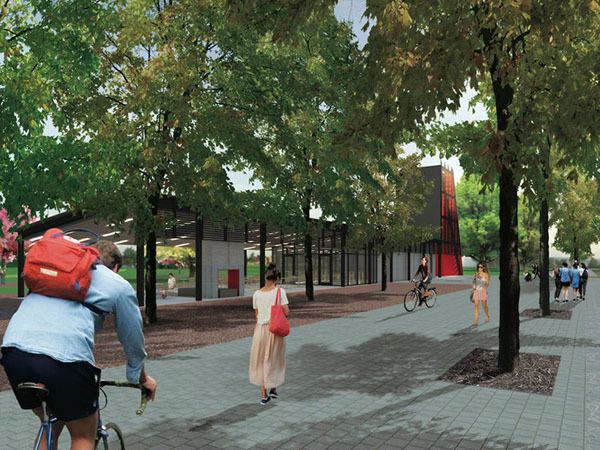 The cafe is slated to open next summer or early fall to coincide with the opening of the massive 70-acre park, which will offer a large outdoor stage, playgrounds, a small lake with paddle boats, extensive landscaping and will utlimately connect the central business district to the Oklahoma River. Hours will likely be 10AM to 10PM, staying open until 11PM on weekends and the cafe will have a full liquor license. The cafe will also be very near the new convention center and Omni convention hotel which will see completion in the next two years. 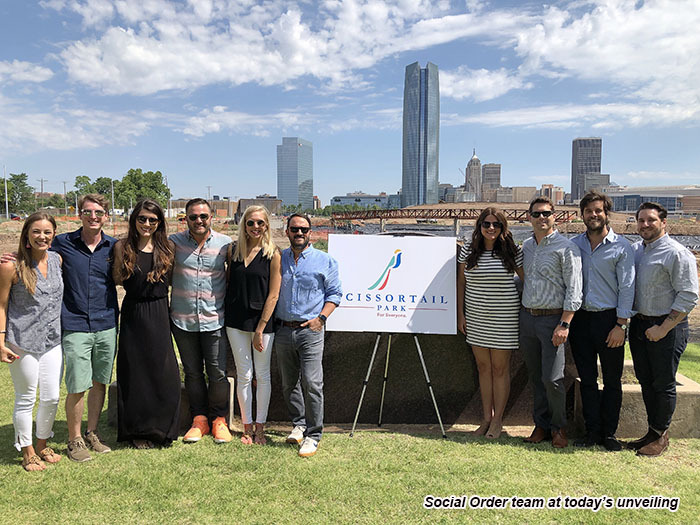 Scissortail Park also revealed their official logo designed by local agency Staplegun.